Since 1978, Eye Care Professional Associates has been serving Warren County with a convenient, enjoyable eye care experience. We want you leave the office not only happy about your service, but well educated on the health of your eyes and your vision.. Our new doctor, Dr. Tyler Mautino, is excited to continue this tradition of excellence. 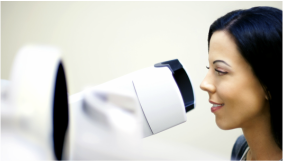 We provide superior eye health care with vision evaluations, management and treatment of ocular disease, and pediatrics. Follow us on our social media accounts for updates on the office, eye health, and fun optometry-related topics. We have a great blog, too!